Ezylet Ltd ("Ezylet"), registered in Gibraltar with number 114299, 57/63 Line Wall Road, Gibraltar trading as Ezylet.com owns and operates this Website. For the purposes of these Terms and Conditions "We", "Our" and "Us" refers to Ezylet. Please review these Terms and Conditions carefully before using this Website. Your use of this Website indicates your agreement to be bound by these Terms and Conditions. These Terms and Conditions apply to the services available from https://www.ezylet.com and any of its current or future sub-domains unless modified in accordance with clause 1.3. If you create an Ezylet.com account using any promotional link or code, you shall also be bound by the Terms and Conditions relating to that promotion. Promotional specific Terms and Conditions will be available to view through the promotional link. All trademarks, copyright, database rights and other intellectual property rights in the materials on this Website (as well as the organization and layout of this Website) together with the underlying software code are owned directly by Us. Without Our prior written permission, you may not copy, modify, alter, publish, broadcast, distribute, sell or transfer any material on this Website or the underlying software code whether in whole or in part. However, a single copy of the contents of this Website may be downloaded, printed or copied for your personal non-commercial use. If you violate any of these Terms & Conditions, your permission to use the materials on the Website automatically ceases and you must destroy any copies you have made of it immediately. Ezylet charges fees for some of its services. When you list an item or use a service that has a fee, you have an opportunity to review and accept the fees that you will be charged based on Our pricing structures which we may change from time to time. We may choose to temporarily change the fees for our services for promotional events or new services, and such changes are effective when we post the temporary promotional event or new service on the Site. Unless otherwise stated, all fees are payable in GBP. You are responsible for paying all fees and applicable taxes (including any VAT) associated with using the Site in a timely manner with a valid payment method. If your payment method fails or your account is overdue, we may collect fees owed using other collection mechanisms. (This includes, without limitation, charging other payment methods on file with us and retaining collection agencies and legal advisers.) You agree that we may issue you with invoices in electronic format by e-mail. Ezylet defines a calendar month as being 30 days from the date of purchase of a particular plan. A calendar year is defined as 365 days from the date of purchase of a particular plan. By advertising with Ezylet your advert will not be listed on any other third party portal. A member may cancel their Recurring Payment for their plan, 28 days’ prior to the renewal anniversary. These Terms and Conditions, your use of this Website, any downloaded material from it and the operation of these Terms and Conditions shall be governed by and construed in accordance with Gibraltar law. You and Ezylet both agree to submit to the non-exclusive jurisdiction of the Courts of Gibraltar. You will not hold Ezylet responsible for other users' actions or inactions. Although Ezylet may be incorrectly referred to as a Letting Agent, you acknowledge that we are not such. Instead, the Site is a venue to allow anyone to offer property for rent or sale or products and services, at any time, from anywhere, in a variety of pricing formats. With the exception of clearly defined items as being owned and produced by Ezylet, at no point do we have possession of anything listed or sold through the Site. We do not review user's listings and we are not party to the actual transactions between consumers and vendors. You will not hold Ezylet responsible for the actions or inactions of consumers and vendors involved in transactions (whether such transactions are carried out on or off www.Ezylet.com) or for ensuring that they actually complete transactions. 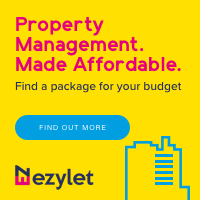 In line with CAP guidance, as a property portal Ezylet is not obliged to display non-optional charges next to the monthly rent of rental properties. Relevant information on non-optional charges are available directly from the advertiser advertising the property. Ezylet cannot and does not confirm, and is not responsible for ensuring, the accuracy or truthfulness of users' purported identities or the validity of the information which they provide to us or post on the Site. Ezylet does all it reasonably can to provide continuous and secure access to our services but We cannot guarantee the same and operation of the Site may be interfered with by numerous factors outside of our control. While we will use our reasonable endeavours to maintain an uninterrupted service, we cannot guarantee this and we do not give any promises or warranties (whether express or implied) about the availability of our services. We (including affiliates, officers, directors, Agents and employees) shall not be liable to you in contract, tort (including negligence) or otherwise for any business losses, such as loss of data, profits, revenue, business, opportunity, goodwill, reputation or business interruption or for any losses which are not reasonably foreseeable by us arising out of your use of our Site. Nothing in these Terms and Conditions shall limit or exclude Our liability for fraudulent misrepresentation, for death or personal injury resulting from Our negligence or the negligence of Our Agents or employees or for any other liability that cannot be limited or excluded by law. To the maximum extent permitted by law, We disclaim all implied warranties with regard to the information, services and materials contained on this Website. All such information, services and materials are provided as is and as available without warranty of any kind. Ezylet makes no warranty, implied or explicit, that any part of the service will be uninterrupted, error-free, virus-free, timely, secure, accurate, reliable or any quality, nor that the content is safe in any manner for download. You understand and agree that neither Ezylet nor any participant in the site and its services provides professional advice of any kind and that use of such advice or other information is solely at your own risk and without our liability of any kind. It is an offence in the United Kingdom to make false or misleading statements about land or buildings offered for sale by Estate Agents or Property Development Business. Where information is given, it must be accurate and must not be misleading. Administration fees may apply when renting a property in England, Wales or Northern Ireland. For more details about a specific property and the additional fees that may apply, please contact the promoting Agent. These Terms and Conditions constitute the entire agreement between you and Ezylet Ltd. with respect to the use of the Ezylet.com portal. Any changes to these Terms and Conditions will be posted on Ezylet.com and will take immediate effect. Ezylet Ltd. may at any time and without liability modify, suspend or discontinue Ezylet.com or any Materials (or any part or specification thereof), with or without notice, for any valid technical, operational or commercial reasons. The Ezylet.com website is controlled by Ezylet Ltd. from its premises in Gibraltar. Ezylet Ltd. makes no suggestion that the Materials are suitable or accessible for use in other places, and access to them from territories where their substance is illegal is prohibited. Those who choose to access this Ezylet Ltd. website from other places are responsible for observance with relevant local laws and do so on their own initiative. If any provision of these Terms and Conditions is found to be invalid by any court having competent jurisdiction, the invalidity of such provision shall not affect the validity of the remaining provisions of these Terms and Conditions, which shall remain in full force and effect. No waiver of any term of these Terms and Conditions shall be deemed a further or continuing waiver of such term or any other term.